Contents: The initial CD release of the complete opening and closing credits for the first Gatchaman series. 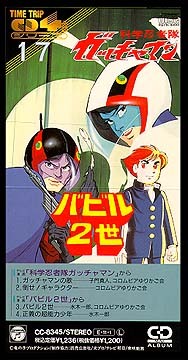 It is coupled wtih the opening and closing themes to another Japanese anime show, "Babil 2nd". This CD was re-released in 1995 (CODC-805). Stereo.